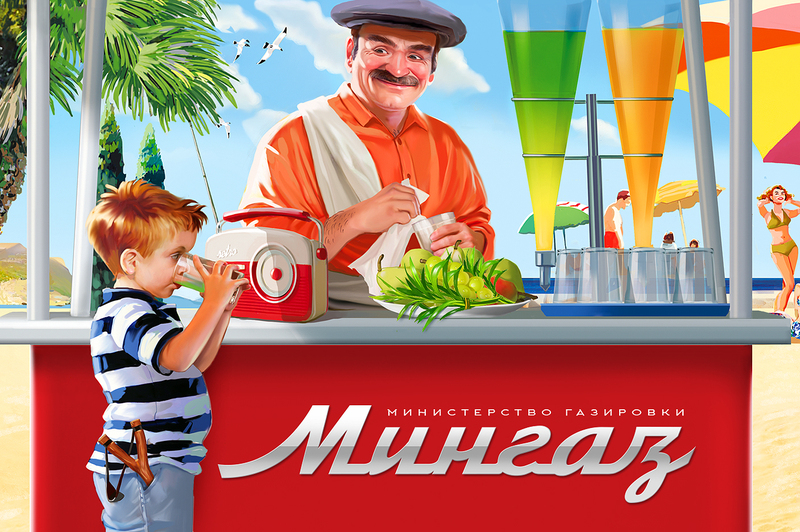 It’s always joyfully to remember soviet childhood. 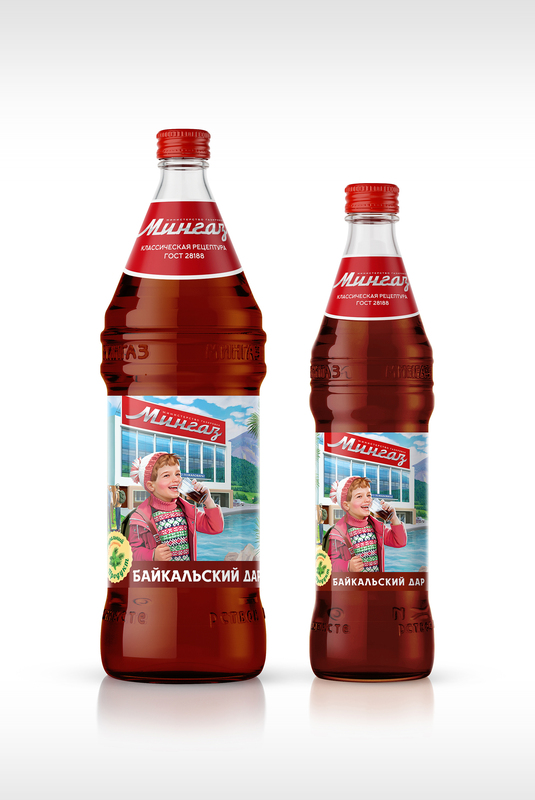 How much exciting it was: hiking with songs near the fire, winter rides from downhills after school lessons and unforgettable taste of lemonade from the automate. 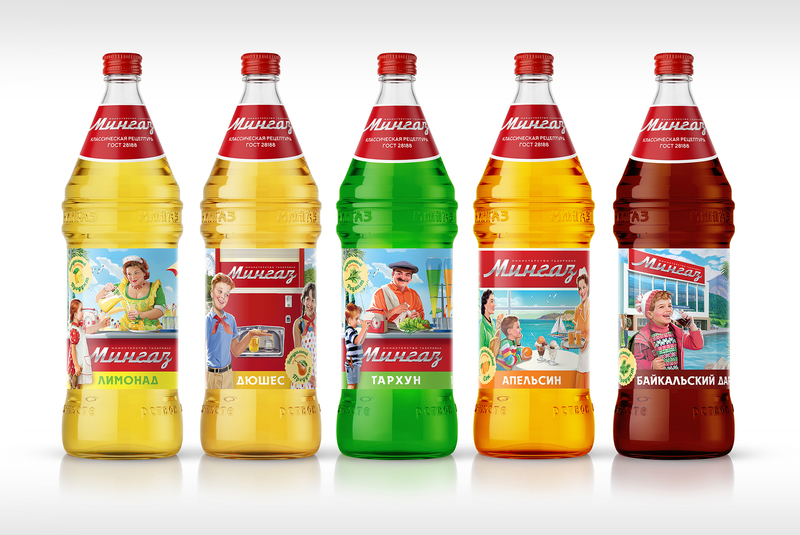 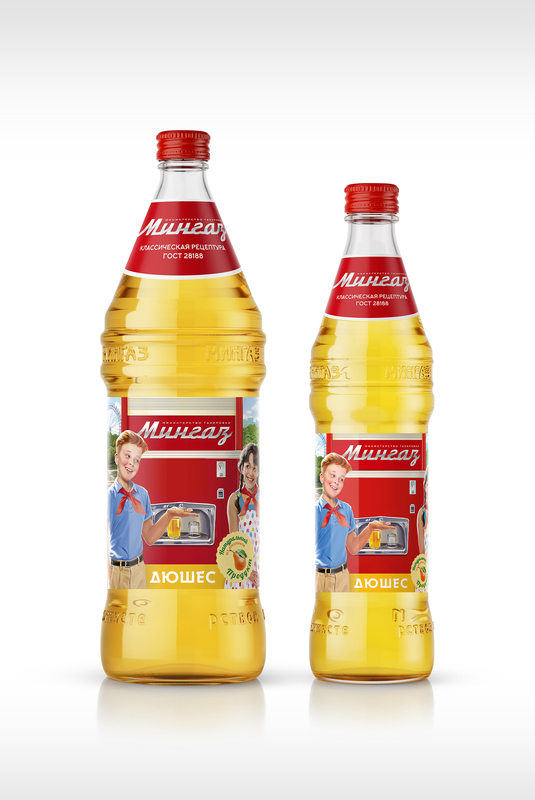 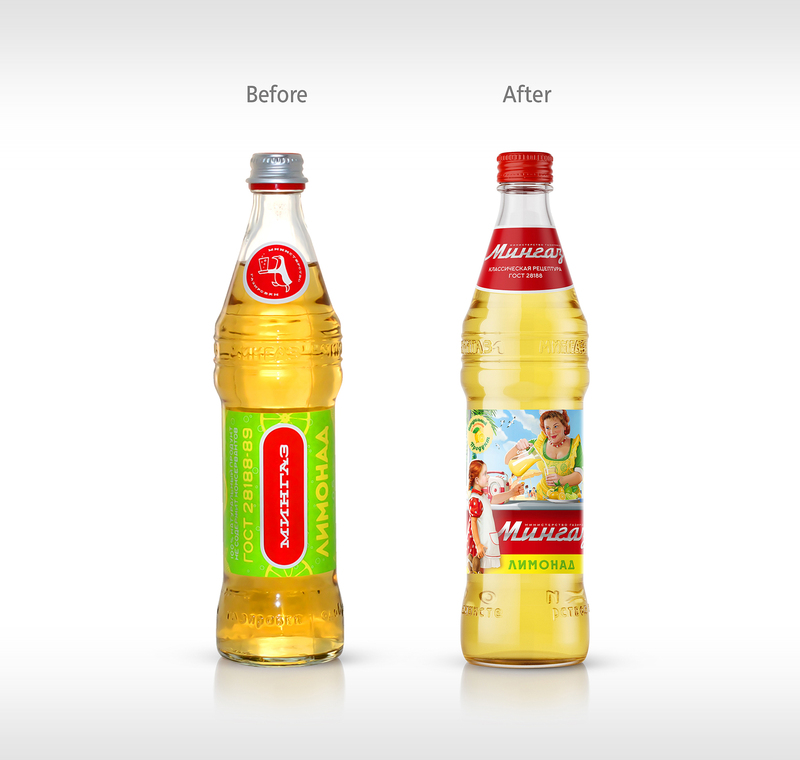 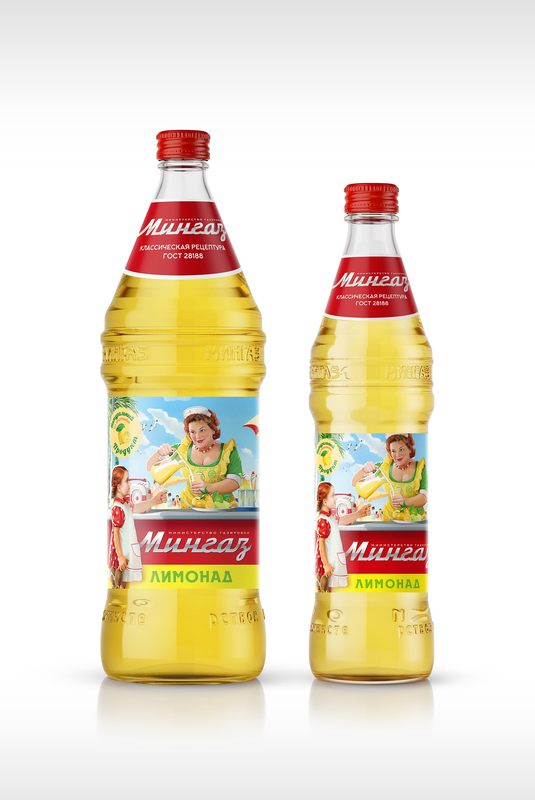 To revive these warm memories, in collaboration with Aquanika company we developed a new bright package for «Mingaz» brand with nostalgic colorful illustrations of plots from happy childhood. 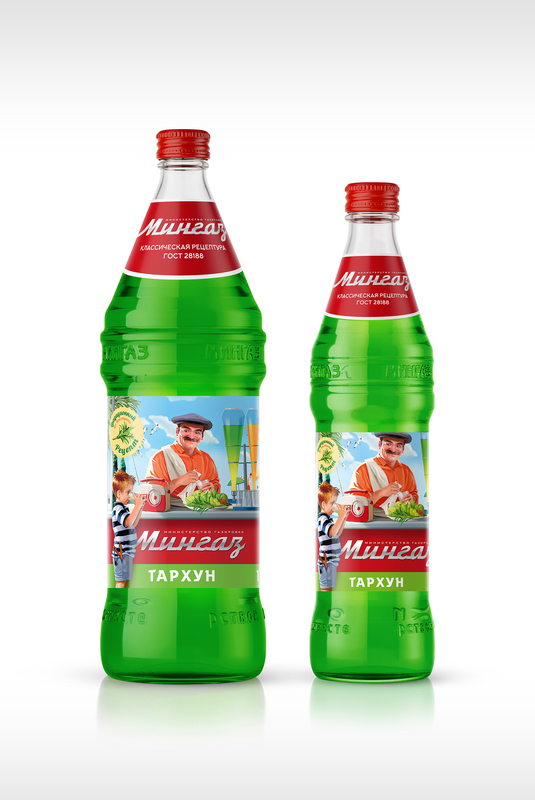 Illustrations are made in soviet retro style, for each of the five flavors has prepared unique entertaining story, linked with a lemonade and well-knowing situates, transferring in that time, as hiking to the Baikal, rest on the beach in Crimea or walking in the city parks. 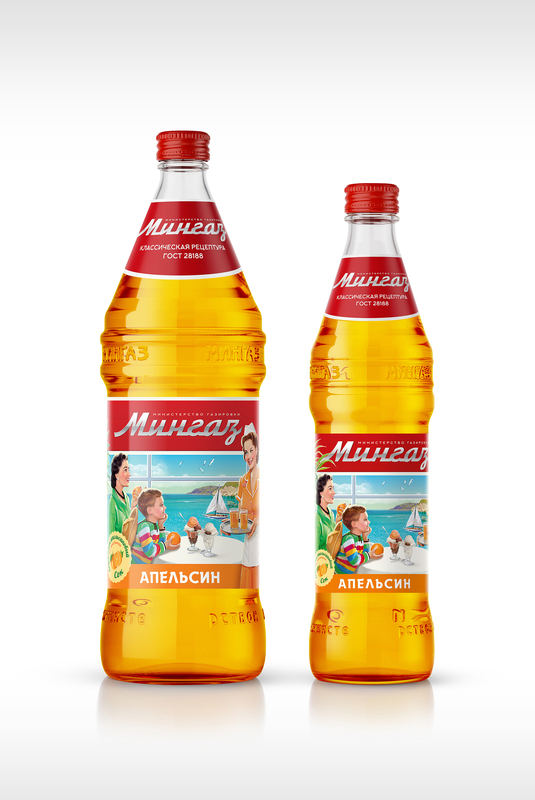 Necklace with the logotype also supports connotation to the soviet automates with lemonades. 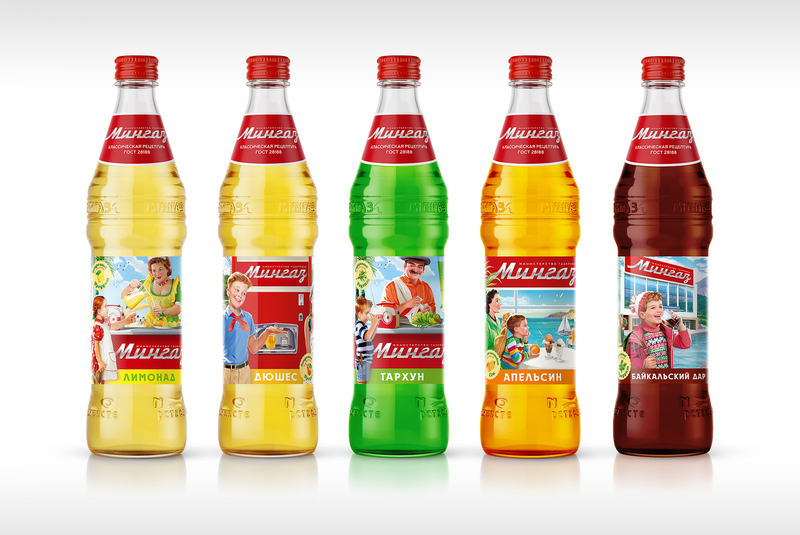 All stories were adapted to 15 different SKUs in brand line.